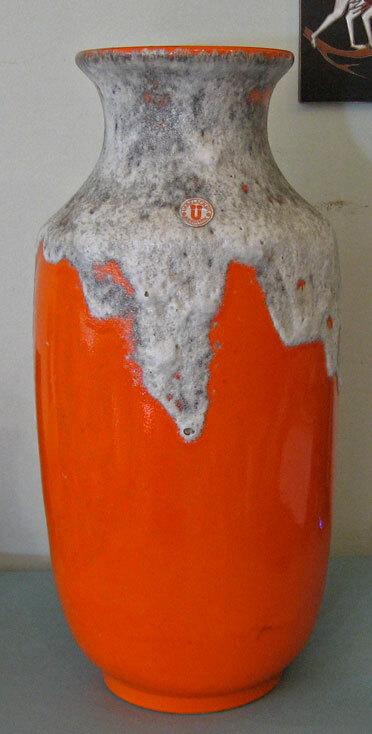 You can find a glaze of this type from Bay and at least one other company in addition to this example from Ü-Keramik, but none qualify as common, and finding one in this size is quite uncommon. 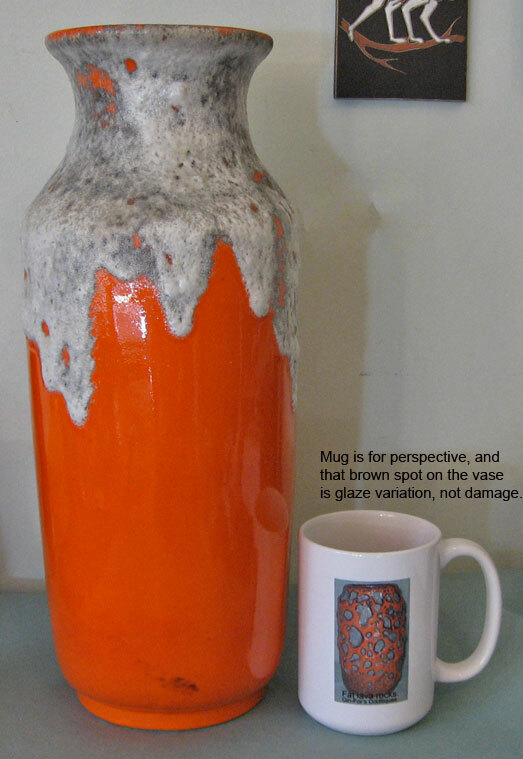 The base glaze is a strong orange with a fat, slightly volcanic top glaze in white with gray tones. Given the coloring, it's more like fat glacier than fat lava, striking no matter what name you come up with. 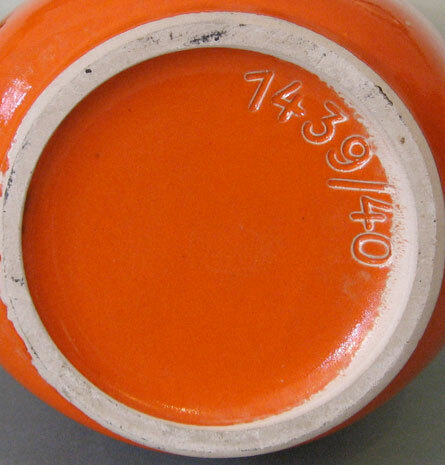 The shape is slightly ovoid rather than round, and the shape number is 1439. 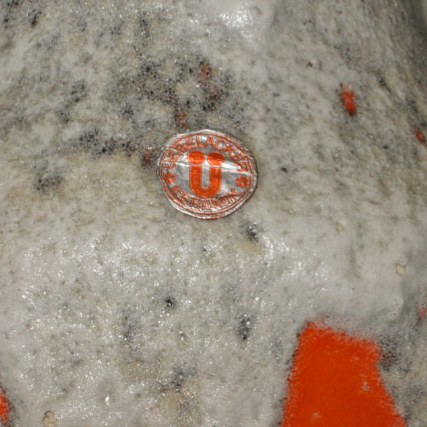 Size: Height is about 15 3/4", widest point is about 7 1/4", while the depth is about 6". Price: $245 plus shipping and insurance.